Airport interest in solar energy is growing rapidly as a way to reduce airport operating costs and to demonstrate commitment to sustainable airport development. In response, the FAA prepared Technical Guidance for Evaluating Selected Solar Technologies on Airports (“Solar Guide”) to meet the regulatory and information needs of FAA personnel and airport sponsors in evaluating airport solar projects. The Solar Guide addresses a wide range of topics including solar technology, electric grid infrastructure, FAA safety regulations, financing incentives, and discusses new and unforeseen issues associated with solar projects including reflectivity and communications systems interference. 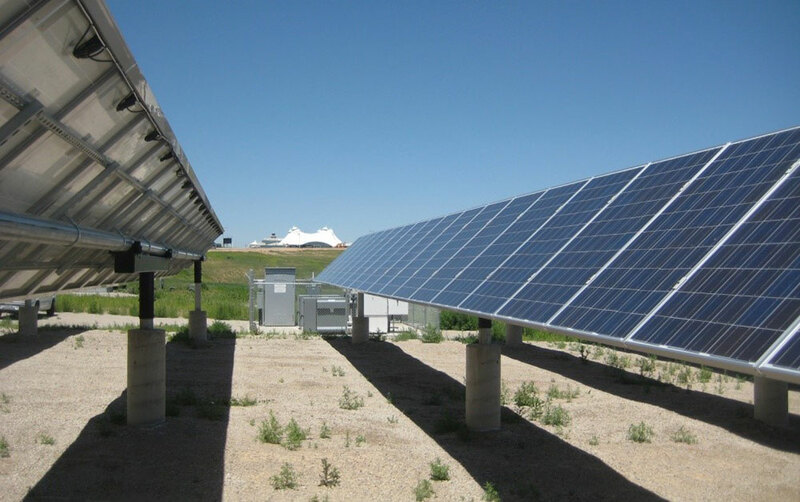 This Guide also includes case studies of operating solar projects at Denver International, Fresno Yosemite International, and Meadows Field Airports, and Albuquerque International Sunport. HMMH was responsible for writing and producing the Solar Guide for the FAA. Our staff met with airports, toured their facilities and discussed the projects to understand the technical and financial considerations for each project.